Wellness care involves taking certain measures to check for biomarkers of chronic disease and, if needed, get started on treatment. 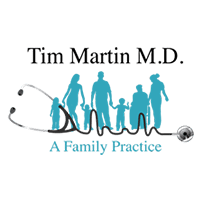 As an approved Medicare provider, Dr. Martin and his caring team at Tim Martin M.D. in Abilene, Texas, offer thorough checkups and evaluations. To book your annual wellness visit, click on the online scheduling feature or call the office. What happens during a wellness care visit? This is also the time to re-evaluate all of your medications and dosages, including over-the-counter drugs and dietary supplements. How often do I need a wellness care exam? You can have a formal Medicare wellness care exam once a year and it’s covered at 100% when you have the evaluation with a participating provider, such as Dr. Martin. Of course, if you get sick between visits or have other concerns you want to be addressed before your next preventive wellness exam, you’re always welcome to head into the office of Tim Martin M.D. as needed. You might be billed for additional exams, diagnostic services, or laboratory testing through Medicare if they’re separate from your annual wellness visits. The team lets you know what to expect before proceeding. How do I prepare for a Medicare wellness care evaluation? If you’ve received care at any other clinics since your last wellness exam, like at an urgent care center, bring your records with you (if possible). This way, Dr. Martin can get a comprehensive picture of your overall health and work with you to keep you as healthy as possible. 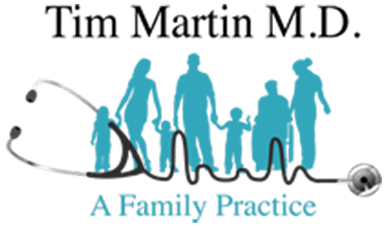 Schedule your wellness care visit at the practice of Tim Martin M.D. today. You can either request an appointment online or call the clinic directly.